Are you a bowhunter that is looking to make your hunt that much easier? Do you go extra miles to get all the tools that will make hunting easier or enhance your accuracy because every accurate shot comes with great pride and confidence? One way to get it right is by incorporating the best hunting bow sight in your hunting gear and that’s why we’re here. Having a hunting bow sight means great achievements in the hunting fields. Every hunter would appreciate a great bow sight due to the many advantages that come with using one. We aim at making your search easier because well, the market has too much to offer and the search might be overwhelming. Our focus here is to help you make the right choice when it comes to bow sights. We are only focusing on the best products on the market and reviewing them to give you the main details of each. Also, we are going to look at the important factors to consider when searching for a bow sight as well as mention any related products for each. No matter what you are buying you need to have an idea of some of the features that separate a good product from a great one. 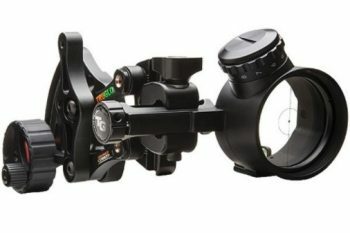 We are going to go through some of the top features that will let you find an outstanding sight for your next bow hunt. Hunting takes place in all kind of environments where some happen to be too harsh. Thus, as you shop for a bow sight, durability should be the first thing to consider. You know if a product will be durable judging by its construction materials and design. You can also see what other users have to say about it before making a decision. In this case here, you must look at the overall construction and other parts such as optics where you must ensure they are well wrapped for protection and also things like screws to see that they will withstand the many times that you might have to unscrew and screw them. Also, ensure that they are of a good size to avoid losing them. You are most likely to experience different lighting conditions as you hunt. 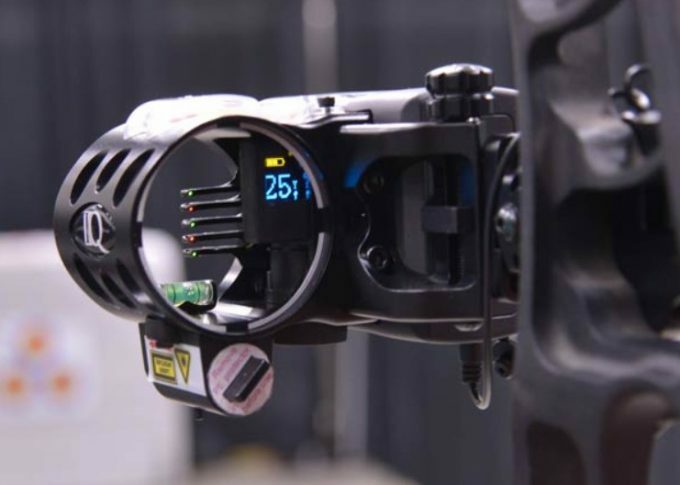 Thus, ensuring that your bow sight has adjustable brightness will be a great advantage because you will have a perfect visibility in any condition. Some bow sights will not have adjustable brightness, but they will be bright enough to allow proper visibility in any lighting condition. However, others are neither bright enough nor feature adjustable brightness but will allow you to add a sight light. Sight lights are very affordable so if you think a bow sight has all the other qualities that you like but not enough brightness you can always purchase it together with a sight light. I bet you wouldn’t want to spend hours trying to install your bow sight on the bow. Every hunter wants to get his/her hunting gear and hit the field ready to start making those accurate shots. Thus, ease of installation or setup a bow sight should be a prioritized feature when shopping for one. You have the option of getting your sight professionally installed, but that will also add more cost. Don’t forget that if it comes off when you are out on the hunt you don’t want to have to run back to the store to get it fixed. You will come across single pin and multiple pins bow sights. 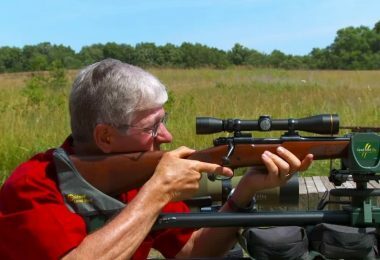 Now, either of this aims at improving your shooting accuracy, but the difference comes in how they do it. A single pin bow sight will require adjusting with every shot. However, you get the advantage of a clear field of view and ease focus as you are only focusing on one pin. On the other hand, multiple pins require you to adjust them, which gets easier if the sight allows auto adjustments, but the problem could arise when it comes to focusing because you will have several pins and you have to focus on one at a time. However, if the pins have different colors, as most do, focusing becomes easier. You don’t want to add unnecessary weight to your bow so a lighter bow sight will be better as long as the lightweight does not mean a compromise on the quality of the overall construction. When hunting, noise is a critical factor as you don’t want to scare your target away. Thus, ensure that the bow sight that you are about to purchase is dead silent when shooting. Now that you have an idea of what to look for on when you are hunting down the best sight, we’ll take a look at some of the top contenders. Each of these are a great option, so you’ll need to consider your particular needs and find the one that fits your style the best. Description: The Truglo Range Rover PRO Sight comes in handy when you need those precise micro adjustments tuning when hunting thanks to its innovative zero-in adjustment dial. If hunting in difficult conditions, this hunting tool by Truglo allows ultra-smooth adjustments to give you an extra edge. Its adjustable green dot brightness performs perfectly in all light conditions so you can rely on it no matter where or when you are hunting and zeroing is easy even for newbies. The tool also enables you to hone the long distance accuracy as it features the illuminated center-dot technology by PWR-Dot’s. Thus, when incorporated into your hunting tools, you gain more accuracy with long distance targets. We especially like how easy it is to use it and how it improves your hunting productivity. It is a great adjustable one pin sight. The sight uses a CR2032 battery which is readily available. Also, one is included in the package and goes a long way because it has an incredible life so you won’t have to replace them every so often. The long life of the battery can also be attributed to the fact that the light is a LED and once you start using the sight, you will never use your bow without it because it makes such a huge difference. The sight is also possible to use by both right and left-handed archers as it features a little screw that’s inside the ring allowing to switch it over. Windage and elevation are micro-adjustable meaning you won’t need tools to make adjustments. The sight is also very lightweight as it features a rugged CNC-machined aluminum construction. However, the overall construction is durable and solid thus takes your trips around the fields like a champ. Related: We advise you opt for TRUGLO Range Rover 2X Lens to enhance your field of view and enjoy hunting even more. This will extend out the range that you can see. 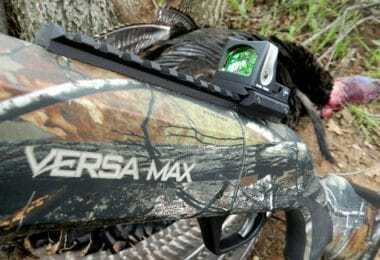 Description: HHA Optimizer Lite 5519 Sight is a great single pin adjustment sight for hunters. It is built to withstand even the world’s toughest hunting or shooting terrains as it features a solid construction incorporating A.R.M.O.R Pin Technology with fully protected fiber for an indestructible optic. With this sight, you are most likely to hit your target with every shot thanks to its design. The bow sight also boosts your confidence while out there hunting as it comes with a great tape system to offer great accuracy thanks to the use of R.D.S technology. We found it more accurate than most other sights on the market, and you are likely to love it as well. With it, you can start shooting at longer yardage, even 70+ yard target. Again, this sight is very easy to use. You don’t need tools to make elevation or windage adjustments. This gives you an easy time while in the field, and it also makes you super-efficient. Also, since it is a single pin sight, your sight picture will be free of the “noise” thus easy time shooting because you will have an unobstructed view and will only be focusing on just this one site pin. It is actually great for target shooting. The build quality is impressive and most people who have used it refer to it as the first rate. The movement is super smooth with no loose parts, and the component tolerances are very precise. And, you also have the option to add a magnification lens to enhance your view. 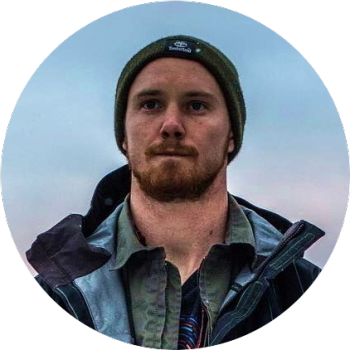 If you are using 2x magnification lens, adding a 4x lens will make a huge difference. Related: HHA 2500 Sight Light fits perfectly on HHA OL 5519 sight and all the other HHA sights. However, to ensure that it does not spook the game, always close your rheostat on your sight then adjust the light till barely any light shines through to avoid lighting up the pack of the pin. 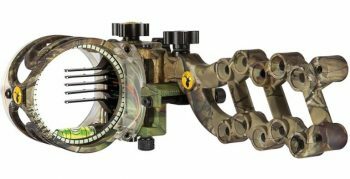 Description: Trophy Ridge React 5 Pin Bow Sight is a 5-pin bow sight, and it is durable and reliable. It is constructed from a strong polymer material that happens to be very durable just as you would expect from aluminum material and it’s also resistant to corrosion and rust. On design, Trophy Ridge offers you a systematic material lightweight design thus ensuring that the sight does not affect the balance of your bow. A point to note though is that this particular sight is heavier than most other models that are constructed from different materials but it is significantly lighter than a sight constructed from aluminum, and this means less likelihood of the bow’s balance interference. The sight is also very versatile especially for people who shoot from different positions. It has several mounting holes thus giving you the option to choose the position according to your preference. 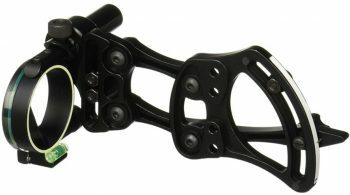 Again, its mounting bracket is reversible allowing you to place it lower or higher on your bow and can also be used by both right-handed and left-handed hunters/shooters. Also, this is the right sight to use for both horizontal and vertical shooting accurately. The “smart pin” technology that’s incorporated in this sight in combination with the ease of even mounting makes using it super easy. With the 5 pins, you only need to accurately adjust those for 20 and 30 yards for wind and elevation, and the rest will automatically adjust themselves thanks to its automatic calibration feature. Again, with the fiber optics, there are no limitations to hunting as you can shoot even a very active prey. 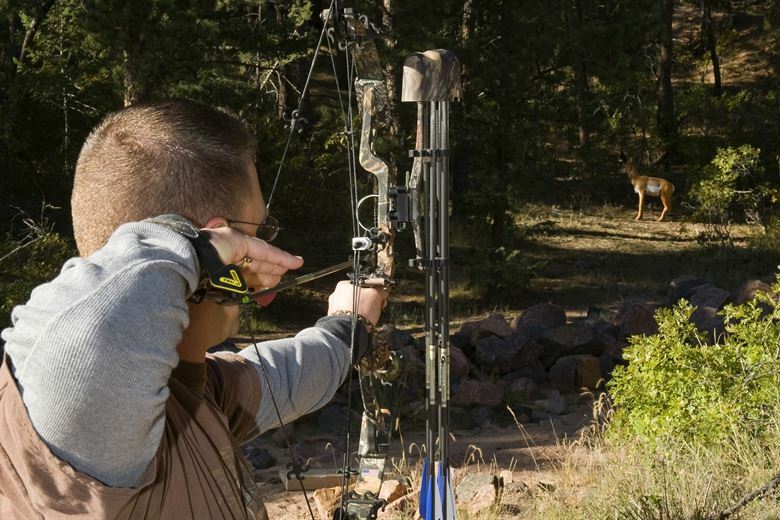 Related: Trophy Ridge Static Stabilizer helps hold the bow stable as you shoot and its design allows the air to pass even on windy days thus allowing you to concentrate on your shot without disruptions. 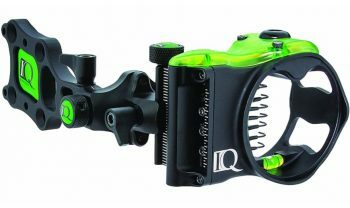 Description: The Truglo Pendulum 1-Pin Sight is a versatile bow sight, and it is designed for use by both left and right-handed shooters. The pendulum allows for accurate ground shots as it can be locked into place. You also have the option to adjust the single pin to hit the target in the center when shooting vertically from a tree stand. It is also easy to install, and you don’t need tools to do so. Again, included in the purchase are pre-marked and black yardage tapes to enable you to make accurate calculations. And, you can always adjust the pin as needed. Also, this sight will automatically compensate for distances beyond 35 yards. Thus you don’t have to worry about tiny adjustments as you make your shots. 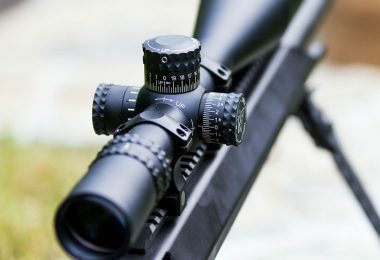 In short, the sight makes hunting easier by increasing your accuracy without the burden of making so many adjustments. When shooting in low light conditions, this sight comes in handy as it features wrapped fiber optics enabling you to see your target clearly. 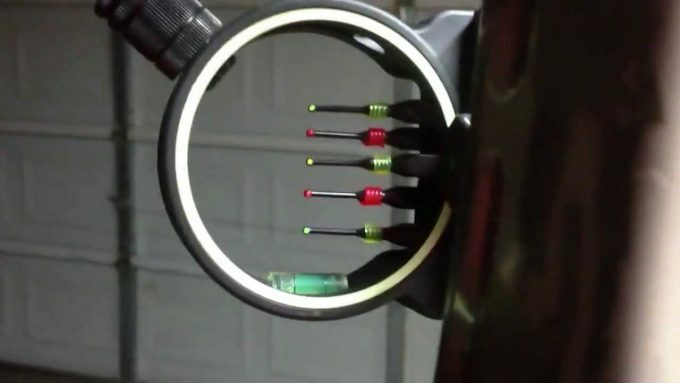 You can adjust or remove the rheostat light to clearly align your pin with the center. Because the sight is extremely quiet, you won’t be startling the prey or causing disruptions when hunting in a group. Also note that this sight’s construction is from aluminum, so it is durable and ideal for use in harsh hunting conditions. Not the best for left-handed users as you have to remove the pendulum lock screw completely and it’s too tiny thus easy to lose. Related: Pine Ridge Archery Allen Wrench Set is a quality wrench featuring a one-piece construction and a slip-resistant finish plus custom bolt & nut assembly. It will suit perfectly with your new hunting bow sight. Description: With the Field Logic IQ Micro Bow Sight you get to shoot from any weird angles and positions. You also get to reap the benefits of instant feedback from the retina lock technology, (2 dots, as well as black and green dots that have to be centered one on top of the other) thus staying ahead of any anchor or torque point change. The sight is durable and lightweight, so it does not add unnecessary weight to your bow. You will also like the engineering and finish as they look great. The sight also features micro adjustment knobs allowing simple and quick elevation and windage adjustments to precise positions. The adjustments are smooth, so it is a really fine-tuned sight for your bow and, the pins are bright and tight. Mounting the sight up takes just a few minutes so you will be ready to start hunting. The bow sight also allows dual position mounting thus giving you the ability to mount it to your preferred shooting style. The mounting bracket fits various pre-tapped risers and also has mounting holes for standard quivers as well and comes with the needed tools and screws for attaching it to the riser. However, if you will be attaching it to a quiver, you will need longer screws which are not included as they depend on the model. The tool-free locking knobs make windage and elevation locking easier as you don’t need any tools. Also note that this sight’s micro adjustment is not like the click type as it has endless adjustment and both the vertical and horizontal adjustments are on this endless adjustment systems. The sight literally makes shooting a breeze even when the pins appear brighter during daylight. The sight is not as bright as most other sights. However, you have the option to use a sight light though it is sold separately. 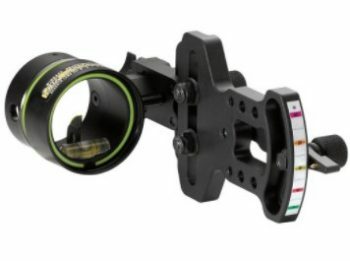 Related: If your sight is not bright enough, IQ LED Sight Light would be a nice addition to the IQ Micro bow sight. It’s very affordable and you will be able to control the brightness of your pins. Sounds good, right? Description: The Trophy Ridge Vertical Pin Bow Sight is a great addition to your hunting gear as it features a high-performance vertical pin that allows you to make ultra-precise adjustments for accurate shooting. You will never again miss your target for sure as, for this price, this sight does a great job of enhancing your hunting accuracy. If you worry about scooting your game, this sight will make a great purchase as it is very quiet because it features Delrin bushings to create a smooth movement without metal-to-metal contact. Also, it makes a good choice for when shooting in a group as you don’t want to make your shooting buddies miss their targets with a noisy sight. With this sight, you will not have to worry about the hunting lighting conditions because it features adjustable brightness. Thus, you can always adjust the rheostat light to suit the lighting conditions plus the glo indicator pins ensure that you maintain the accuracy whether the light is low or it’s changing. The ultra-bright vertical fiber optic pin also comes in handy to give you ultimate visibility throughout the shooting. 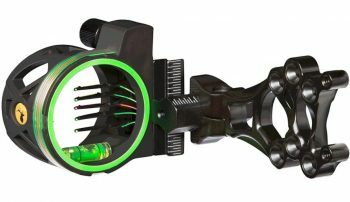 Related: Quality Archery Designs Ultra-Rest Hunter Arrow with laser cut will allow a deadly silent draw and a convenient thumbwheel that will enable you load and total arrow capture all at once. Pretty nice addition, right? Description: With Trophy Ridge Volt 5 Pin Bow Sight you will have an easy time installing it, and it gets even easier adjusting the pins. 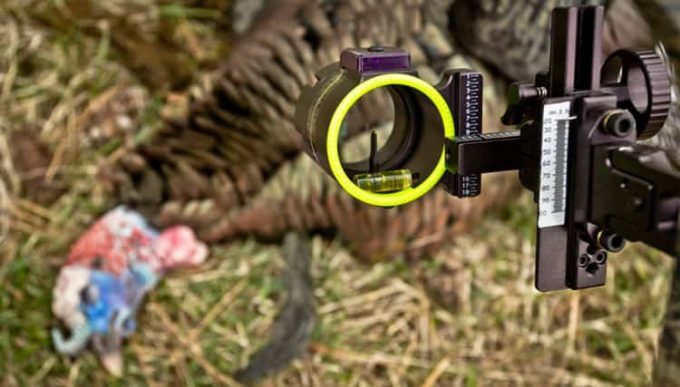 You get 5 ultra-bright fiber optic pins offering ultimate visibility thus helping you take your hunting skills a notch higher due to increased accuracy. You can use this sight to hunt even in low light conditions thanks to the horizontal fiber optic pins. Again, if you like to add some customization to your bow while hunting you can do it easily with this bow sight as it features some offset mounting holes to support it. Also, you will be able to align the shots properly with the installed bubble level for precision. It also features green hood accent promoting a quicker sight acquisition. It is a great bow sight with proper features to make hunting easy and fun. Lastly, this sight’s reversible mount design makes it ideal for use by either left or right handed hunting bow users. Thus, in general, you get a durable bow sight that’s ruggedly built with reliable accuracy. You won’t have to worry about vibrations as they are reduced by the Ballistix coating. The pins are only in two colors where only one is yellow, and the rest are green which means you have to be extra careful and focus on the right pin. Related: Allen Gear Bow Case features ten accessory pockets and could make a great choice for those who opt for Trophy Ridge sight as you can have all your hunting gear in one bag. At the end of our list, you’re probably convinced that hunting gets better with a bow sight. However, to get the best bow sight, you must do the right research and know all the important considerations by heart. 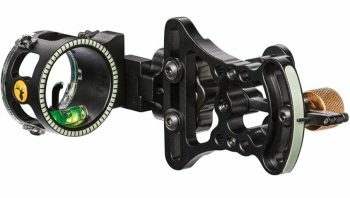 Hopefully, our article offered all the necessary information about bow sights and our list of the 7 best bow sights on the market plus their related products made your shopping easier. If you already own any of the listed bow sights, feel free to let us know your experience and if we left out any important information and if you decide to buy after reading our reviews, leave us a comment to let us know how you like it.